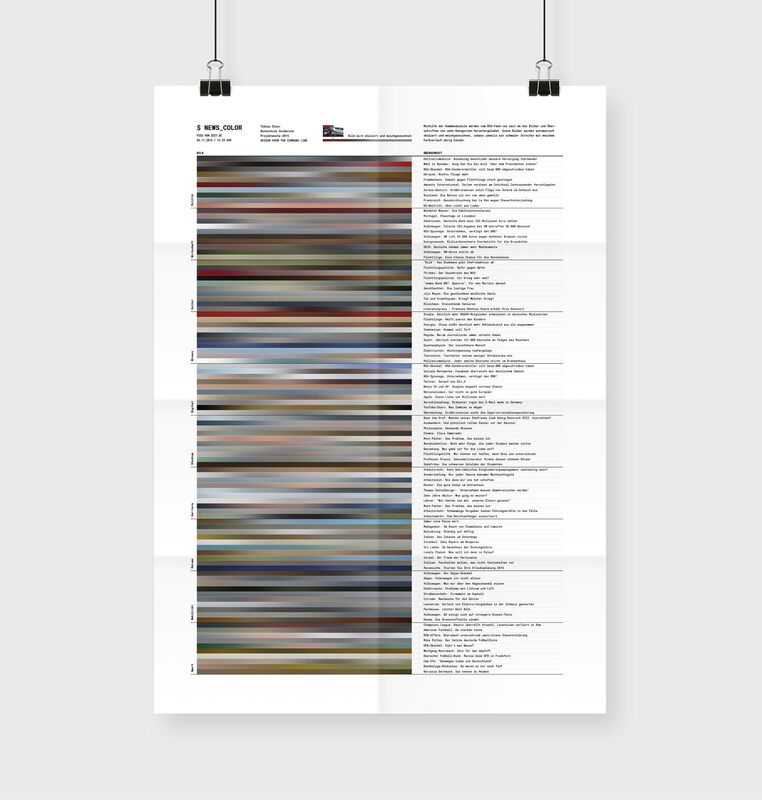 Generative poster of the current news created with command line tools. $news_color was created during the project week 2015 in the course "Design From The Command Line", which had the goal to create a poster using the command line. 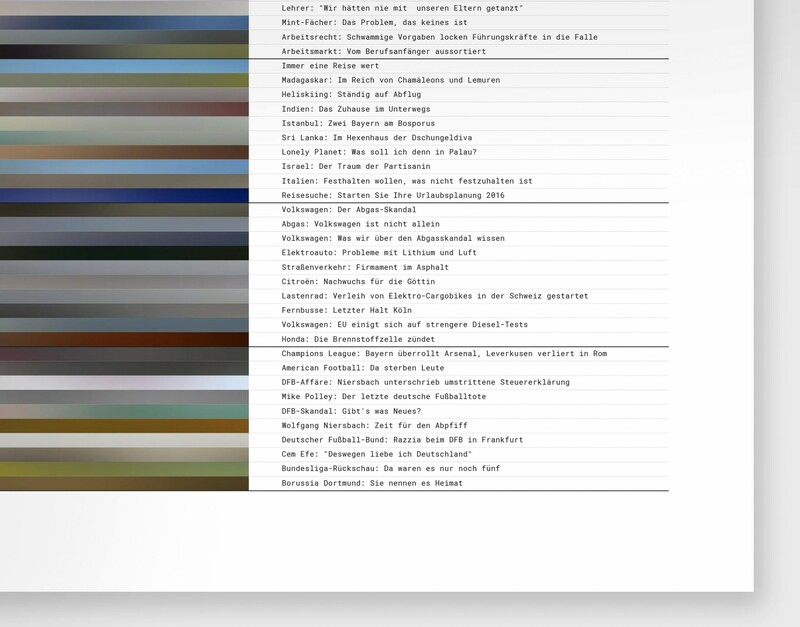 Using various command line tools, images and headlines from ten categories are downloaded from zeit.de's RSS feed. 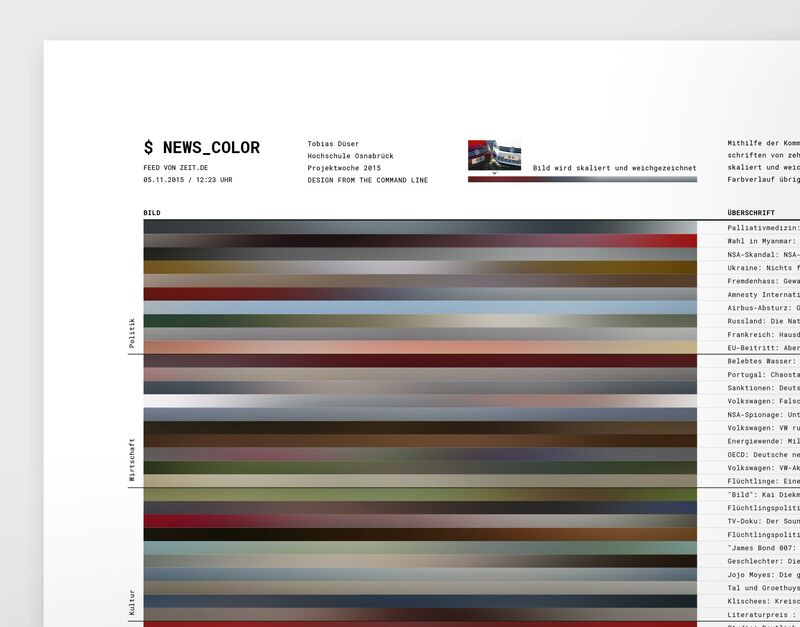 These images are automatically scaled and blurred so that a narrow strip with a soft color gradient remains - a color spectrum of the current news. If the poster were to be recreated, it would look different at any time due to the dynamic source of the content.